Well, if you’re in Covent Garden then it makes sense to stay in Covent Garden. Once one of London’s more infamous red light districts [might still be so, for all we know] it was preserved for the nation in 1973 and transformed into the shopping/eating/cultural district we know today, building on the old established thriving theatre district. The two central features – the converted market and the Royal Opera House, form the centre piece of the area. The live music and street theatre around the market buildings contrast with the formality of the ROH productions, but you’re just as likely to see mobile string quartets playing Mozart as jugglers and mime artists – they audition for a place, just as they do on the Tube. Playing in the basement of the open market hall gives great acoustic reverberation, if not clarity, and the building provides plenty of areas from which to watch. The area was laid out in 1630 as the first modern square in London, and rapidly became an informal street market until the current buildings were erected in the 1800s. The redevelopment of the market and the ROH in 1990s completed the regeneration we see today, with only the changing of shop fronts left to mark the changing times – Doc Martin’s has gone but the Apple Store has arrived. All the major high end shops are there, and many of the notable restaurants. Balthazar has crossed the Atlantic, and the new Ivy Grill has materialised. 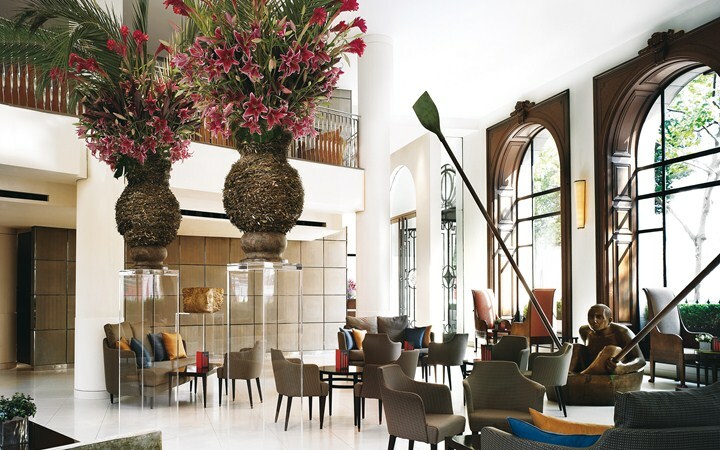 One Aldwych, formerly the home of the old Morning Post, was converted for Gordon Campell-Gray by architects Jestico and Whiles into a beautiful hotel with an even more beautiful lobby bar – perfect for that cocktail before the theatre. It’s buzzing and noisy and you could find yourselves staying on and missing theatre/dinner/bed… As with many hotels, it attracts its fair share of celebrities. We were once in the lift [mirrored, ever-changing coloured lights] with S Club 7 [who?]. Good breakfasts and comfortable rooms – one of the early examples of TVs in the bathroom. Wonderful pool in the basement, and their own little cinema. Good guest database – if you leave the kiwi fruit at the side of your plate from your fruit salad, then it won’t be in the bowl on your next visit. 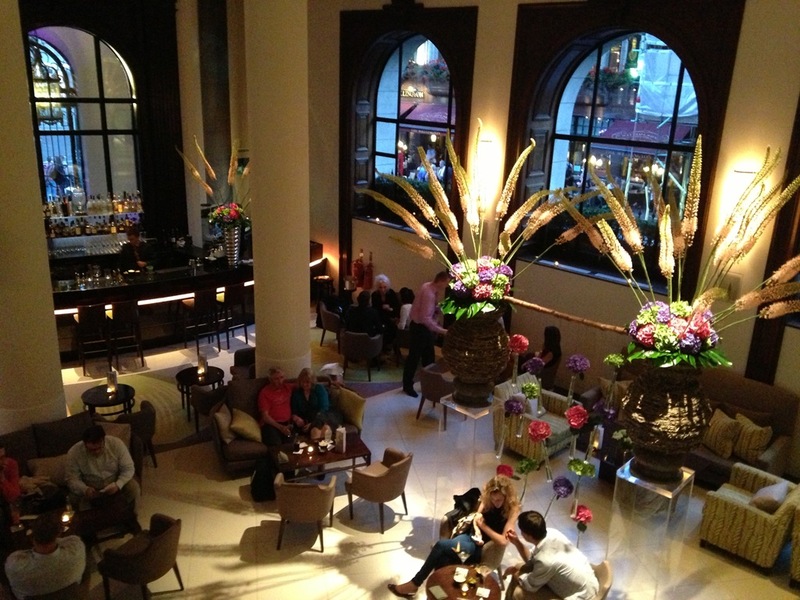 The One Aldwych is absolutely amazing. 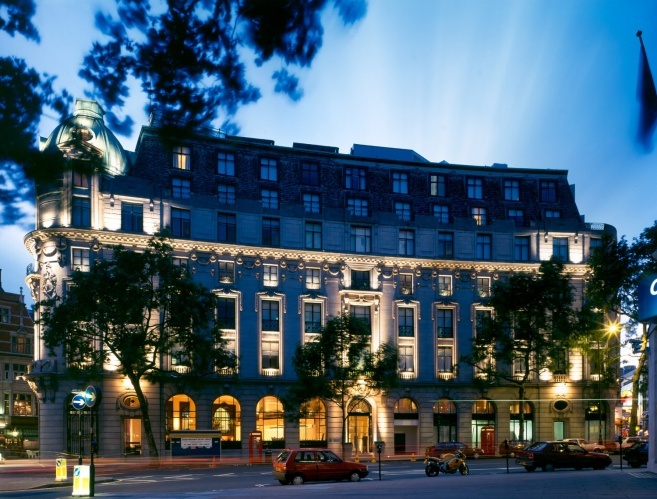 There is a reason why it was named a Leading Hotel of the World some years ago. 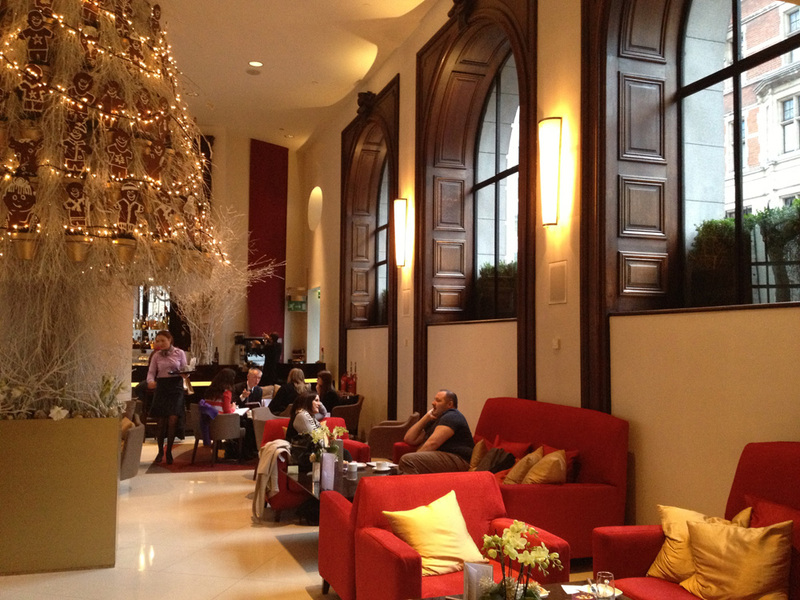 I also love the Landmark in London, but the One Aldwych may be the first choice for my next stay!